In Stock! This item ships in 4-5 days. 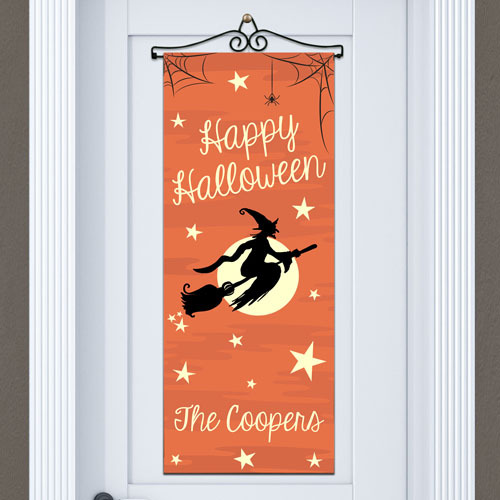 Welcome everyone from family to trick or treaters to your door with our Happy Halloween Personalized Door Banner. This custom door banner makes for a fun Halloween present for someone...or just keep for yourself! We'll custom personalize this banner with any family name below the exclusive design. Makes a great accent piece when hung on the front of your door, entry way or hallway. Can be used indoors or outdoors! Door banner looks great!! I love the personalization! Loved it, so cute. Looks great against my black front door.